Tracey Mallinson – Agility Competitor since 1997. I love this sport for the teamwork, the friendships, and enjoying time with my dogs. 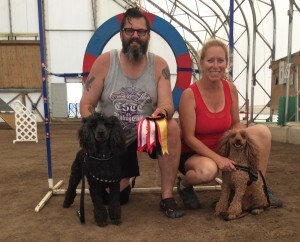 I am an agility judge for UKI and AAC. 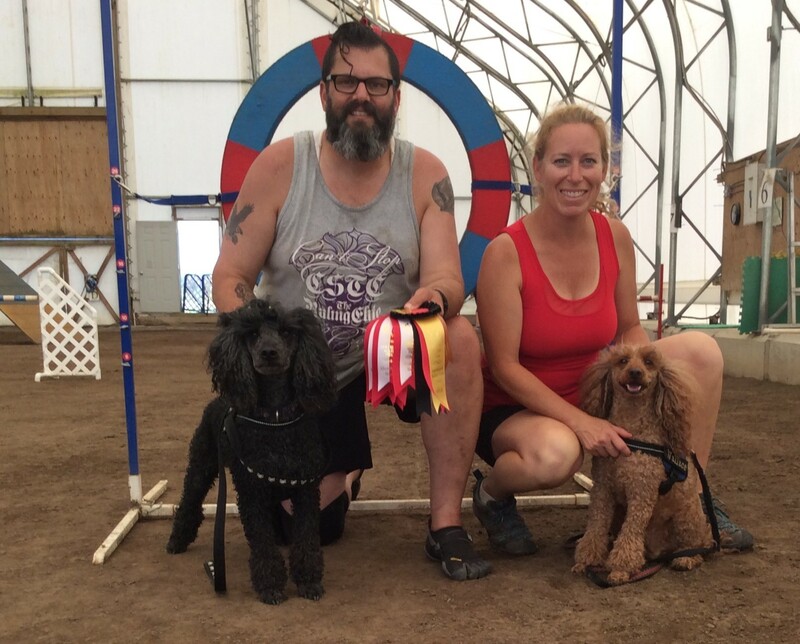 I started agility training in 1996 with my toy poodle Barney. 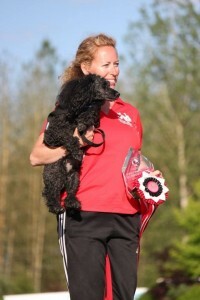 I trained and competed with my Miniature poodle Acer Spades from 1999 – 2010. Jack Sparrow born 2009, Chris Elias, Tracey Mallinson, William Wallace born 2009.